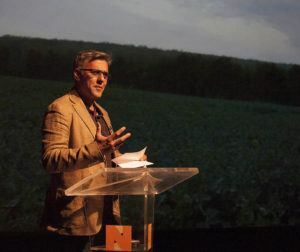 Daljit Nagra was elected as a Fellow of the Royal Society of Literature in 2017. Daljit Nagra’s parents came to Britain from the Punjab, India, in the late 1950s. Nagra comes from a Sikh background and was born and grew up in West London then Sheffield. He has published three collections of poetry all with Faber & Faber. His latest collection, British Museum, is due in May 2017. His pamphlet, Oh My Rub! was a Smith/Doorstop winner and was the Poetry Book Society’s first ever Pamphlet Choice in 2003. His poemLook We Have Coming to Dover! won the Forward Prize for Best Individual Poem in 2004. His first collection, of the same name won the Forward Prize for Best First Collection in 2007 and the South Bank Show Decibel Award in 2008, in addition it was nominated for several other prizes including the Coast Poetry Prize. His subsequent two collections,Tippoo Sultan’s Incredible White-Man Eating Tiger-Toy Machine!!! and his version of the Ramayana were nominated for the TS Eliot Prize. In 2014 he was selected as a New Generation Poet by the PBS. In 2015 he won a Royal Society Travelling Scholarship. He is the inaugural Poet in Residence for Radio 4/4 Extra, and among his other duties, he presents Poetry Extra, a weekly programme on Radio 4 Extra. He is a Senior Lecturer of Creative Writing at Brunel University London. He has judged many prizes including The Samuel Johnson Prize, The Costa Prize, the David Cohen Prize, the National Poetry Competition. His poems have been published in The New Yorker, Poetry Chicago, LRB, TLS and New Statesman. He has written for the Guardian, The Financial Times and he has performed his work in Britain and abroad in Canada, India, Mexico, Slovakia, The Netherlands.